To join the Vive by HTC and Valve and Oculus, Sony has introduced the PlayStation VR headset. The erstwhile Project Morpheus name seems to have been ditched for the simpler extension of the PlayStation line. However, the manufacturer has kept details to a bare minimum with no other specification out into the open other than the new name. Virtual Reality is gradually tightening its grip on the gaming ensemble. While Sony will surely be pricing this one with some heavy numbers, we shouldn’t lose hopes of a bundled solution arriving to save our precious dollars. 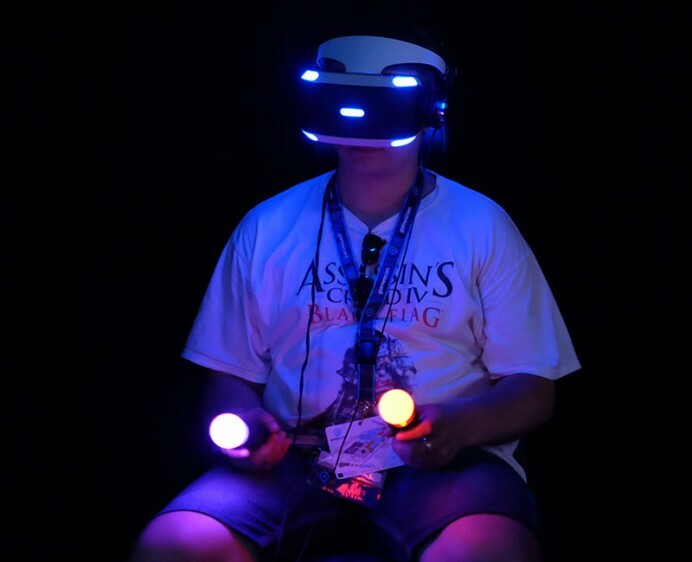 I like PSVR as an acronym. Has a ring to it. The first instances of the Sony PlayStation VR will be witnessed at the Tokyo Game Show, which commences today. Titles such as Danganronpa VR and Final Fantasy XIV will be unleashed and demoed using the exciting new virtual reality console. And then, we wait.